Some say collage, some say montage. They are not the same. When someone says I am a collage artist, it never feels right. Something about collage feels very 3D and maybe even about junk. Nothing wrong with any of that, but it’s not what I do. Of course I had my diversions – most artists do. But the very first cut and paste projects I ever did were indeed montages – assembling photographic images to make a new one. Once overseas, like any farm girl from Oregon, I went crazy over the basic debris at my feet and truly collaged then: train tickets, posters, handbills, it all looked good. 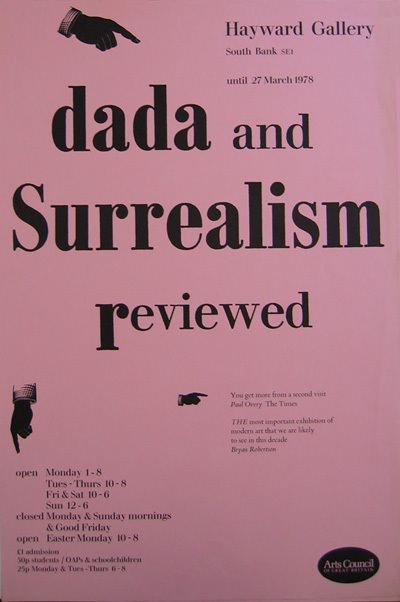 Especially after I had seen the Dada and Surrealism Reviewed at the Hayward in 1978. It took me a few years but I did lose the chunkiness and go back to strictly montage. Andres also referred to montage in how it relates to film, the mounting of image after image and how this has all filtered into his own painting. The reference to film makes sense for me too but obviously in different ways. 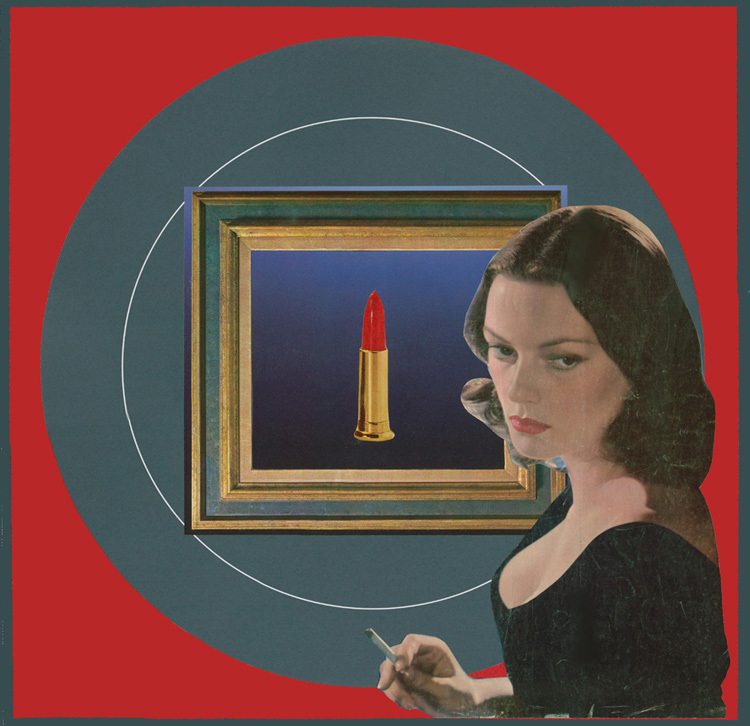 Bits of press have filtered in from art fairs and the presence of new “collage,” which increasingly is a catch-all term for many things which are strictly not. We also saw some excellent work at Elizabeth Leach here in PDX in the form of Michael Lazarus. I also enjoyed the article in the new Art Forum by Charlie White on the collage impulse of today – Cut and Paste. In film they often use the word montage for a certain kind of editing - thematic links rather than spatial continuity in a story. Someone like Eisenstein gets really carried away with the idea. In still pictures it's a little different because there isn't the temporal element or the expectations of a story so much. We bounce around space in a picture with different options. Not just in 20th century painting, but Early Renaissance and Medievel pictures had all kinds of different schemes. So does Oriental/Indian/Persian painting. Photo-collage or montage definitely fits in there, and has this other, material side, where you actually combine diverse sources. All this to just point out some wider connections for 'montage'. Also, who's the little hottie in Target 38 - love the frayed quality to print with the hair! She was on the cover of one of those True Romance magazines and so she's not a star, but perhaps modeled after one - as illustrators often did back then. I have had her for many years and probably added some of the patina in my moving around. The original is almost 15 inches square, a nice size. I guess she's meant to be the-girl-next-door type. I'm not sure if this line has been discontinued or just looks entirely different now. 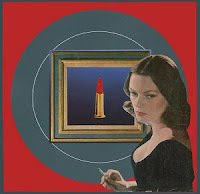 In terms of imagery, she reminds me a lot of the women in early Lichtenstein paintings - you know, the "Why Brad!" types. That is just too strange that you are thinking of Lichtenstein! Several things were considered for what would be inside that frame. A Lichtenstein was one of them. I think she is meant to be the girl who has some regrets. There are many stories like that in those magazines.